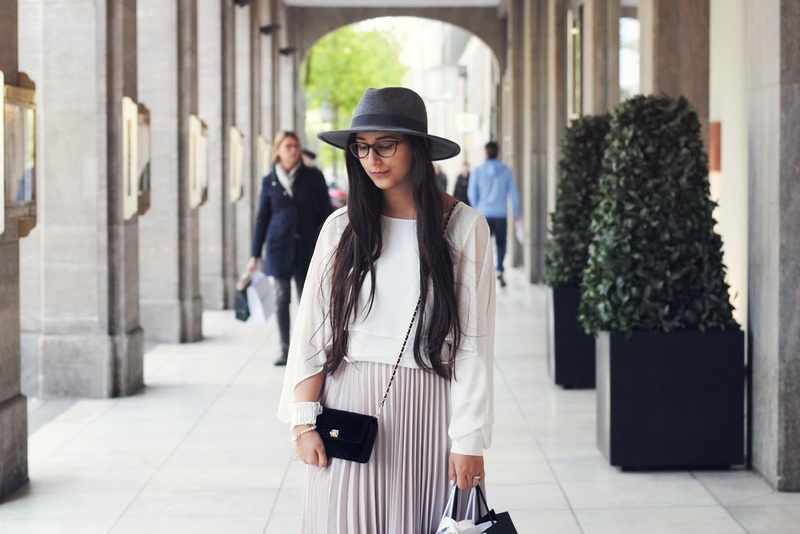 Kérastase takes a look back at the past centuries, queen Berenice offered her hair to the gods, the hair of Shiva formed the frame of the world and Botticelli glorified the birth of Venus with her hair waving in the wind. 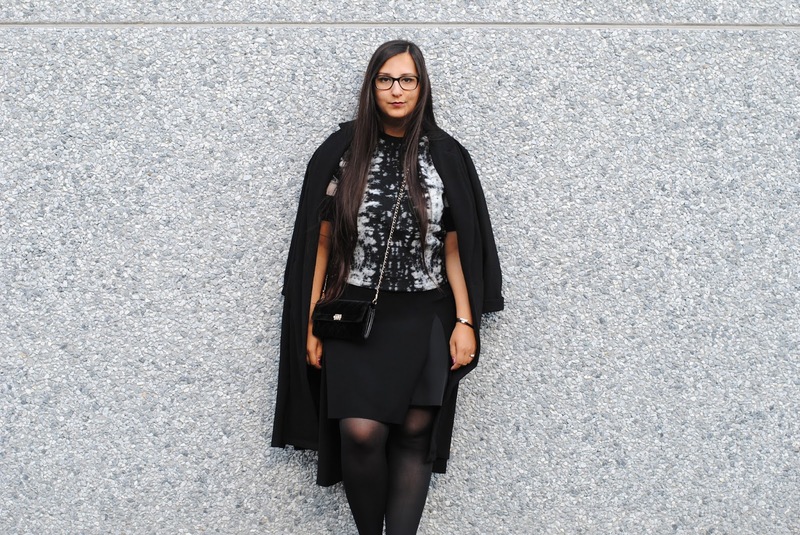 Today curls are back, on the catwalks and on the street. So why are curls so difficult to care for? Kérastase always gives great information with their products, so I'm also going to summarize it for those who are curious. But that's all background, now the Kérastase products! 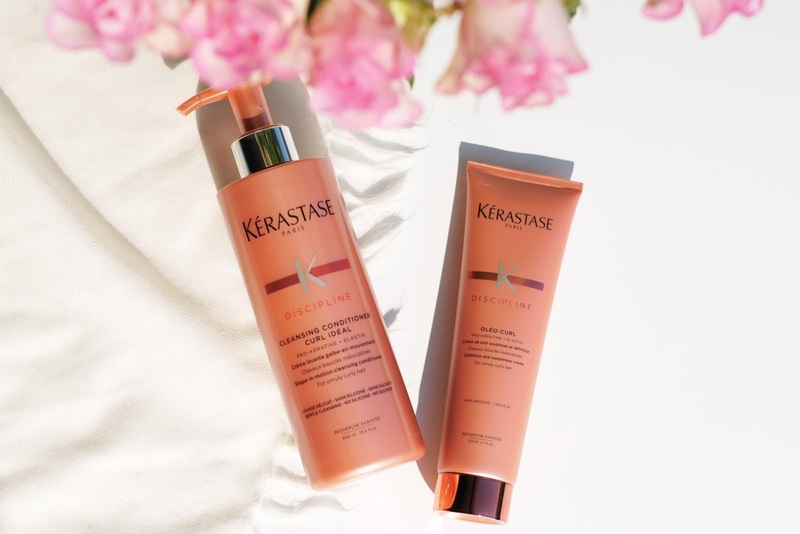 Kérastase's new release is all about freedom for your curls. Discipline Curl Ideal keeps your curls in control and protects their natural suppleness. Kérastase created the products with pro keratin and elastin-complex, which disciplines and defines the curls for a elastic effect. Pro keratin: Arginine, serin and glutamic acid are 3 amino acids that can recover the hair if they are there naturally. These 3 are completed by a derivation of a wheat protein. This cationic protein provides a perfectly shiny texture. Another component of pro keratin is ceramide R, which travels through the scales of the hair for more consistency. Elastin is a elliptisch protein that gives biologic structures their elasticity. Hydrolysed elastin is rich in amino acids. The galenic formulas cover the fiber to improve the curls. It also strengthens the torsion points, so the curls are better defined. This cleansing conditioner is a treatment which protects the layer of hydrolipids and doesn't contain any silicons or sulfates. It cleanses softly and keeps the curl pretty by improving the quality of the fibers. The product should be applied on wet hair, then leave it in for about 2-3 minutes and rinse it off. The Oléo-curl is not to clean (step 1, cleansing conditioner), care (step 2, mask) but to get the curls in shape (step 3, oléo-curl and foam). It's a flexible texture to fixate curls and give them bounciness. You have to apply this on washed and towel-dry hair. Divide it over the full length of the hair and form curls by twisting the hair with your hands and fingers. - Rub your hair dry with a microfiber towel, twist your hair (so the natural shape of the curls will be saved). - Always comb your hair tips first, and work your way up to the roots. - Styling: to apply cremes like the Crème Oléo-Curl, you can apply it while twisting your hair around your finger. Foams like the Curl Ideal foam should be applied with the fingers starting from the tips. For more distinct curls you can apply the foam with a big comb. - Curls don't like friction. Silk pillows are a good idea, but you also just roll up your hair in a little scarf before you go to bed. 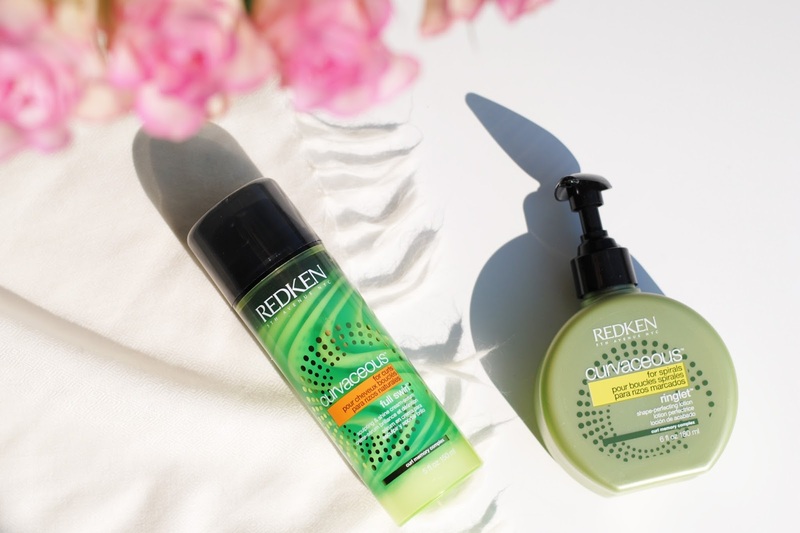 'Curls can have issues' like Redken says. Dryness, frizziness, fragility and dullness. I listed some of these problem above (and I'm sure you don't want to hear all that in depth biological info again haha! ), so Redken worked on a solution and that solution is called Redken Curvaceous. - Sugar crystals: activates the shape by hydrating the curls. - Moringa oil: repairs the level of moisture. - UV protection: protects against irritating environmental factors and prevents that your hair gets dull. - Step 1: clean. There are 3 sulfate and paraben free formulas, who won't dry out your hair and are suitable for all sorts of curls. - Step 3 and 4: prime and activate. The Curvaceous CCC spray gel: climate control, defines/refines the curls. The Full Swirl Cream-Serum is part of step 3/4 prime and activate. 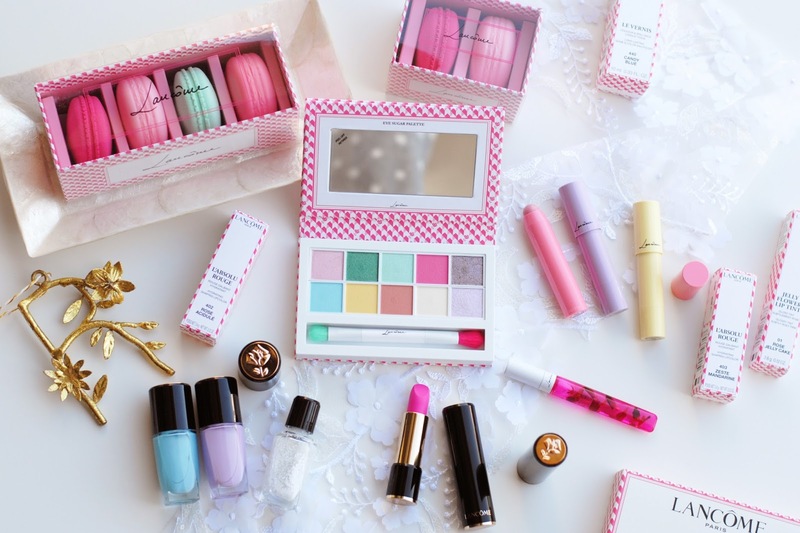 It's a 2-in-1 formula, a combination between a controlling serum and a light cream. It keeps your hair hydrated and adds definition and shine. It also protects against air humidity to prevent frizziness. This one is best suitable for spiral shaped curls. It keeps the frizziness out of the hair, by softly fixate the curls. It also has a shiny finish and creates bounciness in the curls. - DO: Air dry your curls, try to blow-dry as less as you can. - DO: Create dimension and add shine to your hair by coloring it. - DON'T: Don't rub your hair to harsh with a towel, always be gentle so your hair doesn't break. - DON'T: Don't brush your hair with a hair brush, this will separate the curls. - DON'T: Don't color your hair too much, highlights or colors that overlap can make your curls even more sensitive. Whew! Yes, I worked quite some hours on this blogpost - all for you girls with gorgeous curls out there. 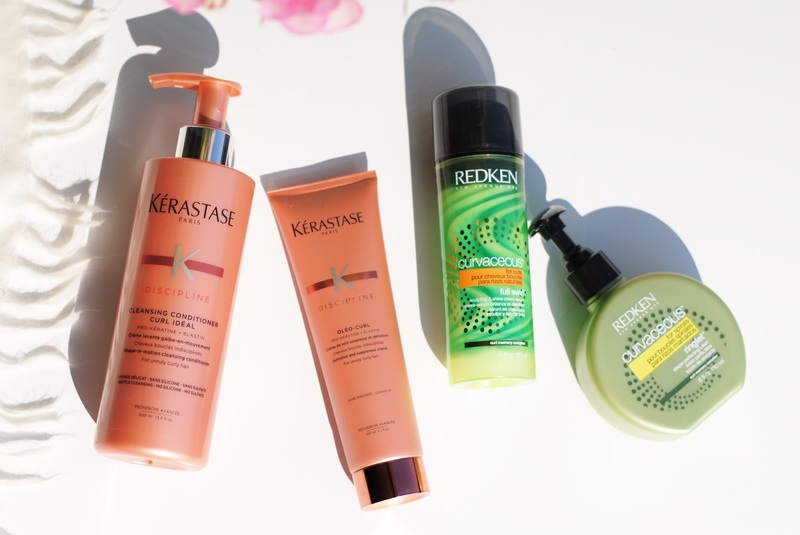 Redken and Kérastase are two of my favorite high-end hair brands, so I hope you learned some tips and tricks and might found something that looks interesting to you. Did you like this post, do you have curls? I really liked this post because of all the information about curles and how to treat them. I love the do's and dont's you've shared that could be really helpfull for people with curls. And the packaging of both brands look great! 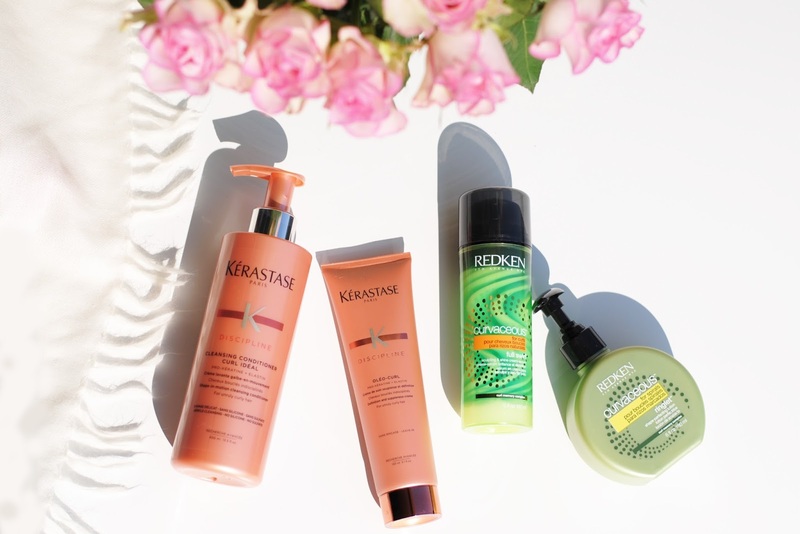 Especially the Kérastase! Super handig en deze producten klinken echt ontzettend fijn! Heel fijne tips, heel interessant om te lezen!